Our Pest Control Service is based on a very simple concept: Prevent pests from getting inside your house. We keep them out by regularly treating key areas outside and often beneath the living areas of your property. Cockroaches are one of the most common pests that can infest your home. In addition, to their repulsive appearance, cockroaches have been known to transmit disease organisms and have been found to cause allergies in people. Cockroaches can get into your house in a number of ways, including through open doors and even in grocery bags. 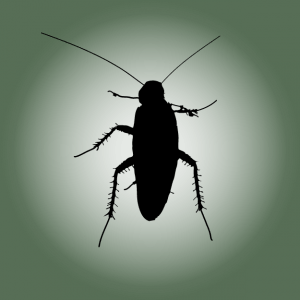 Because cockroaches are prevalent year-round, many homeowners should get professional pest control to prevent and/or eliminate the problem. Even if you don’t own a pet, you may have to deal with pesky fleas in your home. As parasites (life forms that feed on hosts), fleas usually prefer four-legged animals like cats and dogs, but can still prey on humans if there aren’t other sources of food available. One of the reasons that fleas are so hard to kill is that they can survive long periods of time without food. This makes it easy for them to move around, feed when food is available, and survive when it’s scarce. Our pest control service can help prevent and/or eliminate fleas in your home. Ants are the most frequent pests found in homes. While they’re generally not as visually repulsive as other pests, they can still contaminate food, hollow out wood for nesting, create anthills, and, as in the case of the fire ant, cause painful stings. While most ants look alike to the untrained eye, there are actually many different kinds, which can also affect which ant control methods work best. If you need help with pest control in and around your home, give us a call! Even for those without arachnophobia, the sight of a long-legged spider crawling across their path can strike fear in their hearts. As a built in self-protection mechanism, that fear is actually warranted, as there are a number of spiders that can cause serious damage if they bite you. Venom from spiders such as black widows and brown recluses can send you to the hospital. Because they’re biologically not receptive to chemical agents, spraying alone is not a great defense option. Our pest control service will help reduce spiders in and around your home and help protect your family and pets. In contrast to their similar sounding compatriots, flies (or fruit flies) feast on rotting fruit or anything fermented rather than the blood of animals. However, that doesn’t mean that they’re harmless. House flies are known to spread diseases such as conjunctivitis, typhoid fever, tuberculosis, anthrax, cholera, diarrhea and dysentery. They are also the source of maggots. If your home produces a decent amount of organic waste, there’s a good chance that you may have a fly problem. Because flies are so prevalent, this form of pest control can be difficult. We have great products to take care of that. If you’ve ever been stung by a wasp, hornet or yellowjacket, you know how painful they can be. And if you’re one of the many people who are allergic to the venom from these pests, you realize how dangerous they can be – even life threatening in certain situations. Either way, if you find wasps in or around your property, it’s best to hire an expert to come and help eliminate them. Call us when you’re looking for wasp, hornet or yellowjacket pest control. We also do bedbugs, rodents, millipedes, sowbugs, pillbugs, millipedes, centipedes, boxelder bugs, silverfish, firebrats, and other pests.